Established in 1996 as an Complete IT & Staffing Solutions organization, ETS Technologies has grown into a 120 member company with specialty offerings in varies Software services across domains. ETS Technologies is proud of its proven expertise in Enterprise Applications, Engineering Design, custom solution engineering and capability building. The organization is strongly supported by an expert technical team, specialized in delivering business solutions in diverse disciplines. Project specific and Technology specific teams cater to the clients' requirements within business constraints of time and cost. The team is comprised of PMP professionals, certified technical architects and domain consultants with vast experience. * Customer Delight: Promise to creating customer experiences beyond expectations and delighting them at every opportunity. * Excellence @work: Promise to package the best of technology, efficiency, intelligence and reliable service. 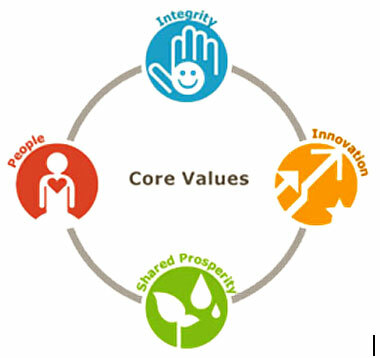 * Trust: Promise to create long-lasting relationship through confidentiality, growth partnering and apex human values. * Transparency: Promise to engage the customer in virtually every aspect of process, create a transparent information sharing platform for conducting ethical business. * Pragmatism: Promise to visualize, create and deploy rational solutions within the constraints of business.